Opera is one of the most popular web browser on this planet. The mobile version is prbably the best browser for small devices such as Mobile Phones and desktop version is also popular due to some exciting features such as Live Speed Dialing. 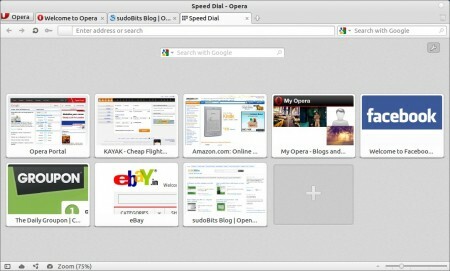 Opera seems to be optimized for faster web browsing with next generation browsing experience. 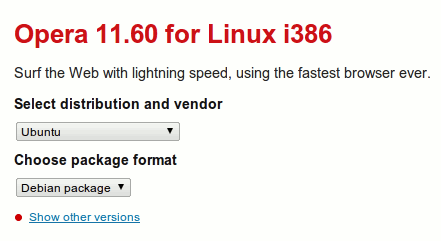 The latest version of opera i.e 11.5 has released (today). 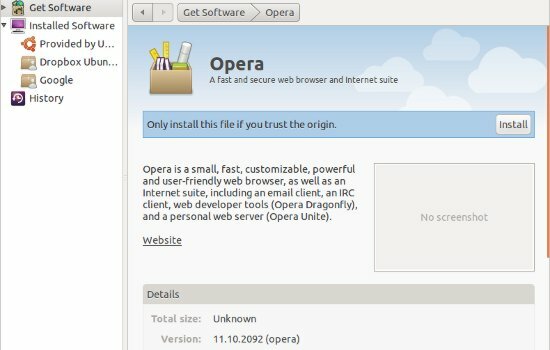 Opera 11.50 or swordfish (code name) is available for Windows, Mac and Linux distributions such as Linux Mint or Fedora or Ubuntu 11.04 (Natty Narwhal)/10.10 (Maverick Meerkat)/10.04 (Lucid Lynx), it’s a cross-platform browser. 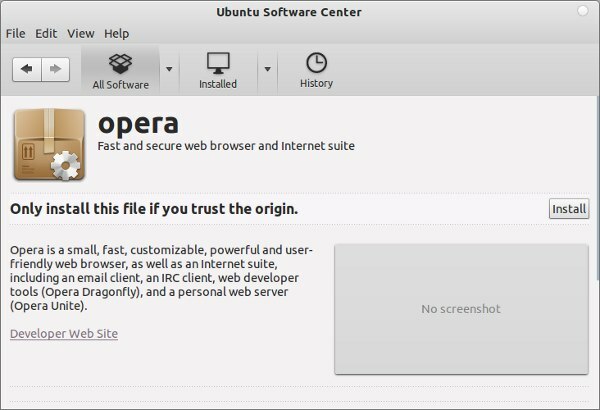 You just need to download the correct package if you want to try Opera on your system , Debian package (*.deb) is available for Ubuntu. Then install it either from command line (using dpkg) or just open it with Ubuntu Software Center. (See below, detailed explaination is given, follow whatever suite best to you – I always recommend Command). Live Speed Dialing allows you to get updates from your favorite blogs in easier way, right from the speed dial in a new tab. 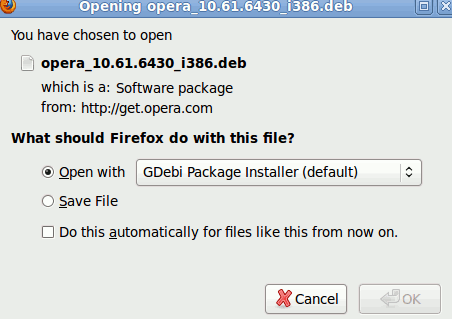 #1 : Download Opera 11.50 for Ubuntu or other Linux based OS. #3 : That’s all..Have a lot of Fun, browsing with Opera 11.5.